Hurricane Harvey has had a massive impact on Texas and Louisiana, and local bars, restaurants and breweries are getting on board to help. 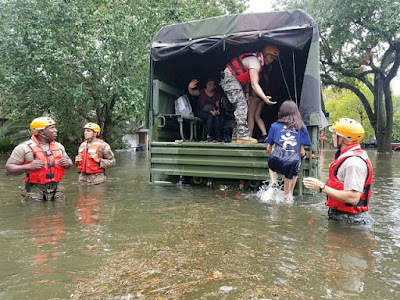 Eater writes of an effort headed by DC Brau and Boundary Stone asking local spots to donate a portion of their sales on Saturday, Sept. 2 to hurricane relief. Eater has the full story. So far local spots like DC Reynolds, Looking Glass Lounge, Walters Sports Bar and the Good Silver have signed on, as have lots of other spots around the city. Here's the full list. You can also donate directly. Their goal is to raise $25,000. A nice way to help out people affected while enjoying your local establishments. 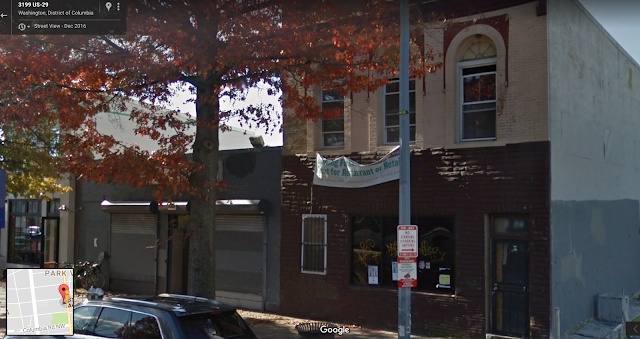 If you're interested in hearing from the mayor or seeing what she's up to, here's an opportunity in our area -- she'll be attending the Petworth Action Committee meeting, a local neighborhood group, on Thursday from 6:30-8:30pm at EL Haynes Public Charter School, 4501 Kansas Ave NW. Here's the link to the Petworth Action Committee. They describe themselves as "an organization comprised of residents, business owners and other stakeholders in the Petworth community." Please join Mayor Bowser at this upcoming Petworth Action Committee Meeting this Thursday, August 31, 2017 @ 6:30pm. Mayor Bower wants to heat from you! This is interesting -- Petworth News reported that a "meditation garden-style" park will be coming to the grassy triangle bordered by 13th, Quincy and Kansas Avenue NW. The triangle is currently just grass. I used to live near there and it was mostly not used, aside from occasional dog-walking or folks playing sports. Petworth News writes that some people aren't happy about it because they haven't been involved in the design process. The park was first presented at an ANC meeting in June 2016 and residents liked it and wanted to be involved, but residents say they haven't been heard from since. Seemingly the city's Department of Parks and Recreation was told they had no comments. 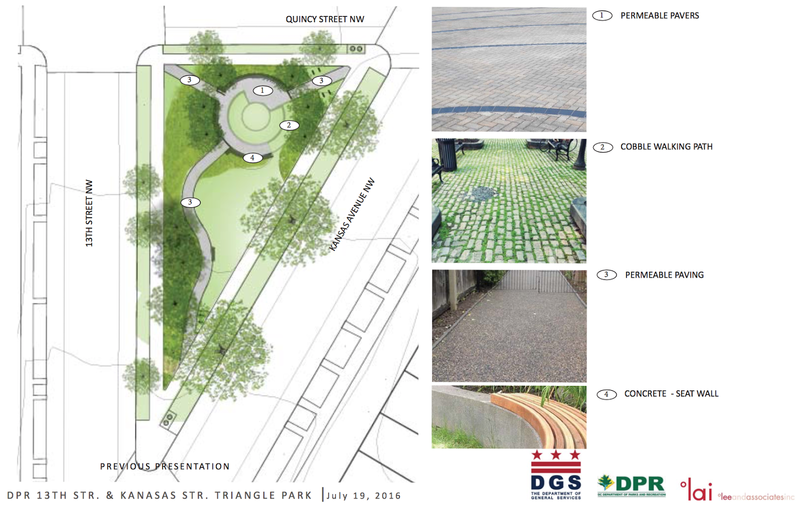 The full plans are here, which includes about half of the area remaining grassy, plus a central plaza area with various kinds of pavers, seats, trees and shrubs plus trash cans, bike racks and a drinking fountain. Might be a nice spot for hanging out, enjoying a coffee or the like. There will still be grass, but if folks want to play on fields, there's the Raymond Rec Center a block east or the fields at Upshur and 14th. The park will be presented at a future ANC meeting, but ANC4's site still says the upcoming one is in July, so not sure about when. What do you think -- nice idea? 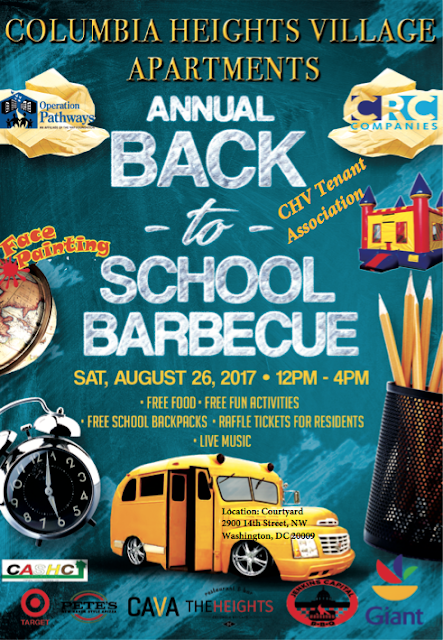 This sounds like a neat activity at Columbia Heights Village, the complex at 14th and Harvard: a number of local sponsors are giving away free backpacks for kids, food and more. Check it out! 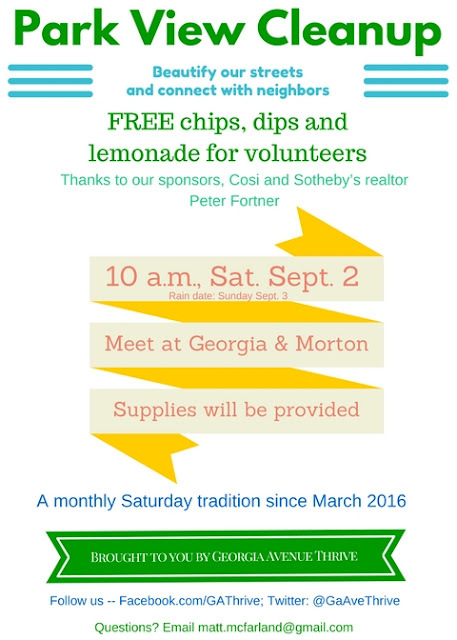 Here's a great opportunity to meet some neighbors and help clean up the area: the monthly cleanup hosted by Georgia Avenue Thrive is Saturday, Sept 2. This month there will be free snacks and drinks. They're meeting at the old Murry's store at 3400 Georgia, where the Park View mural is. The event starts at 10am and they'll provide bags, gloves and other equipment. Here's more! We'll gather at the corner of Georgia and Morton. Immediately following, volunteers will gather at the Murry's parking lot for free chips and dips from Cava, plus free lemonade from our great neighbor Peter Fortner, who is also a Sotheby’s realtor. Thanks so much for your help in promoting Thrive's cleanups! Your generous sharing of our flyer has a positive impact on our community. 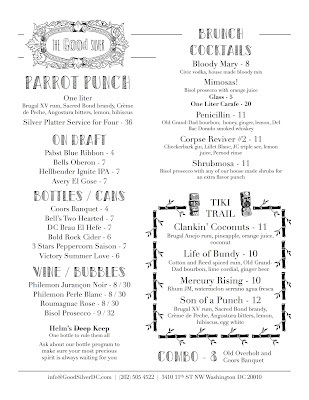 The Good Silver, the replacement for the Kangaroo Boxing Club on 11th near Park, has just announced they're starting to serve brunch beginning this Saturday. The spot offers southern-style food and cocktails, and the brunch menu sounds pretty good: chicken and waffles, skillets, healthy stuff like salads and yogurt, cocktails, shrubs (for cocktails or on their own), plus a liter of punch for four with rum, brandy and more in it. 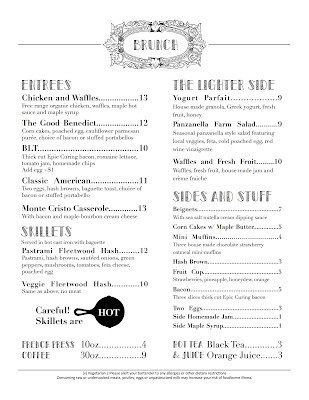 The full menu is below (click for bigger images), as is their press release. I wrote about The Good Silver's opening a few months ago but haven't made it there yet. Anybody else go? 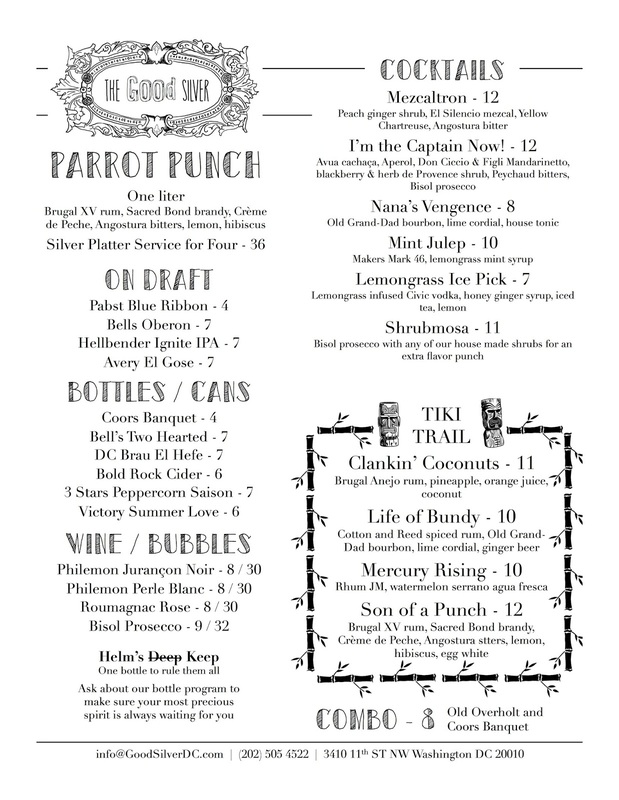 The Good Silver, Columbia Heights’ neighborhood cocktail bar and restaurant, is pleased to announce the addition of weekend brunch. 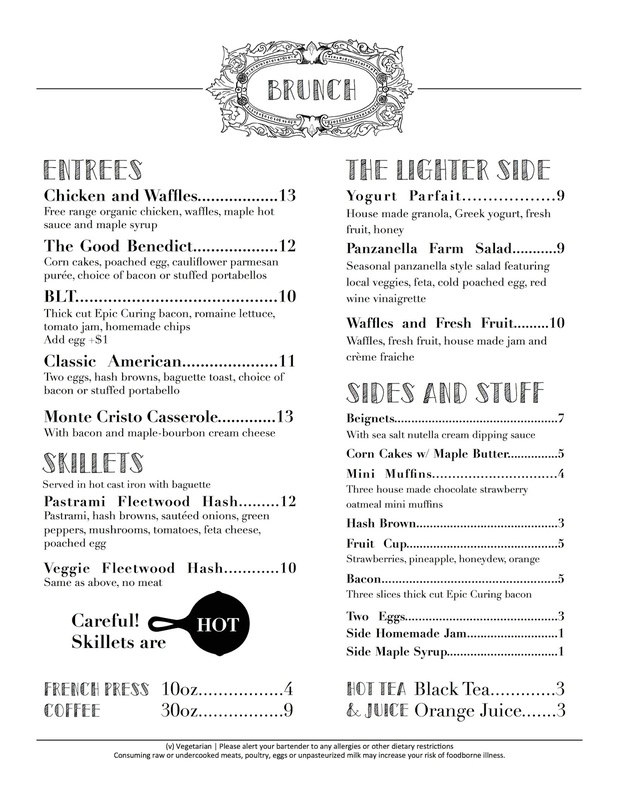 Guests can expect the familiar, such as housemade Bloody Marys and Chicken and Waffles, and the addition of Shrubmosas and hearty foods such as the Pastrami Fleetwood Hash. All of this can be enjoyed in our comfortable bar under the careful watch of the Head Knight of the Knights Who Say Ni, who will judge you if you don’t finish your breakfast, the most important meal of the day. 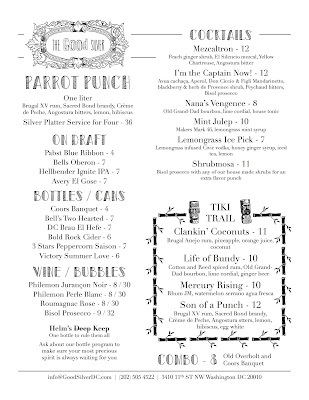 The cocktail list to brush off that hangover from the night before includes The Penicillin, featuring Del Bac Smoked Whiskey, honey, lemon and ginger; Corpse Reviver #2 featuring Checkerbark Gin; And Mimosas available by the glass or the carafe. The food menu runs the gamut including the Monte Cristo Casserole with maple syrup cream cheese; Fleetwood Hash Skillet with housemade pastrami, hash browns, feta, mushrooms, tomatoes, a poached egg and toasted baguette; American Breakfast with housemade bacon or stuffed portobello, eggs, hash browns and toasted baguette; And on the lighter side, a farm-style Panzanella Salad with local vegetables, baguette croutons, a cold poached egg and red wine vinaigrette. 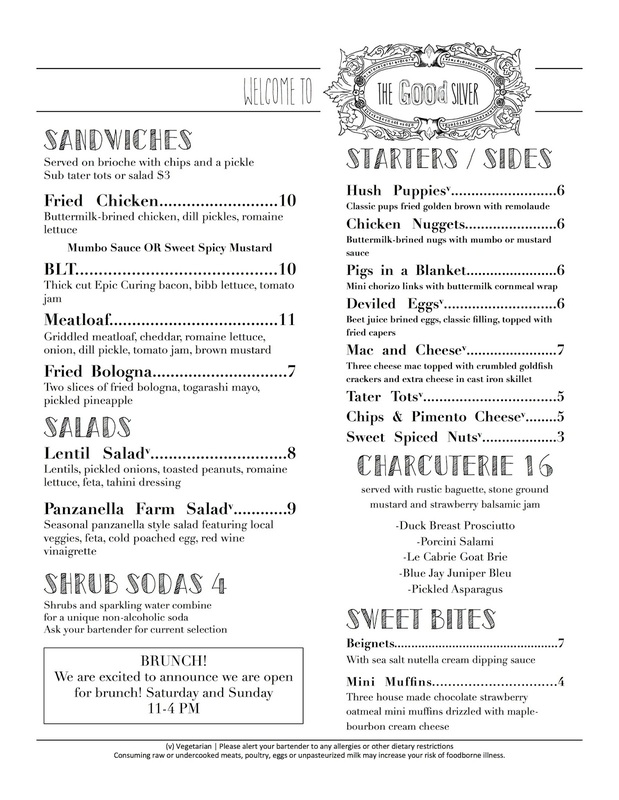 Brunch will be served from 11AM-4PM every Saturday and Sunday. Compass Coffee will be served in single serving and shareable French presses to wake you up and keep you going. Wheelbarrows are unavailable if you get too full, but all are welcome to linger and enjoy a chill afternoon at our home away from home. This sounds pretty awesome: Thip Khao, the tasty Laotian restaurant at 3462 14th, is hosting a Tibetan pop-up with Chef Dorjee, a former Buddhist monk and refugee in Nepal and India. It's a three-course, family style meal with meat and vegan items. Sounds pretty awesome. You can get tickets here, and there's a discount code: MOMOSQUAD22. 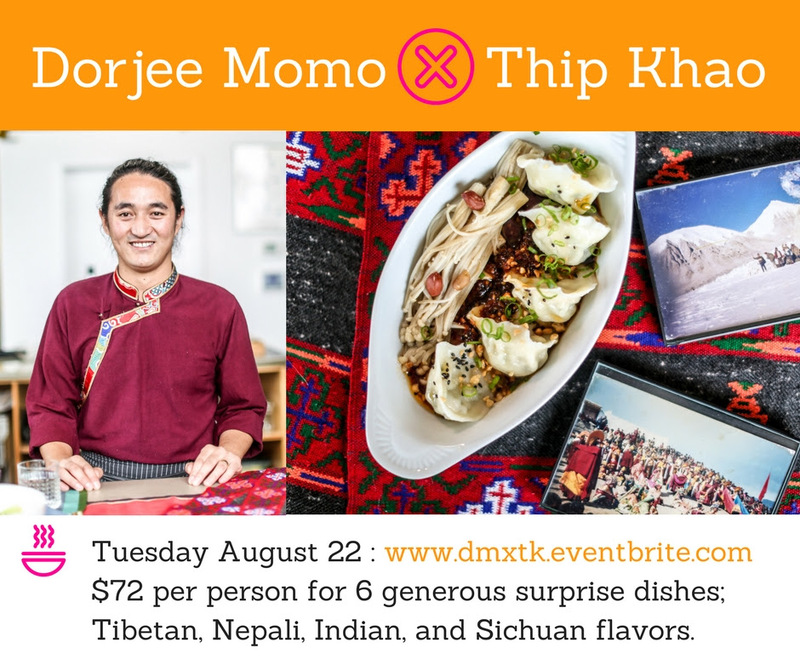 Join Chef Dorjee, a former Buddhist monk, for an evening of savory, spicy, and tart Himalayan dishes inspired by his childhood as a nomad in Tibet and his experiences as a refugee in Nepal and India. Read more about Chef Dorjee in this article from The Washington Post Express. Our pop-ups are an intimate and exciting dinner party where you can try new flavors and have a great evening with friends. You will be greeted with a welcome cocktail, and can expect a variety of surprising tastes from generous family-style dishes in 3 set courses of at least 6 dishes, including both meat-based and vegan dishes. Additional cocktails, wine, and beer are available a la carte from Thip Khao. 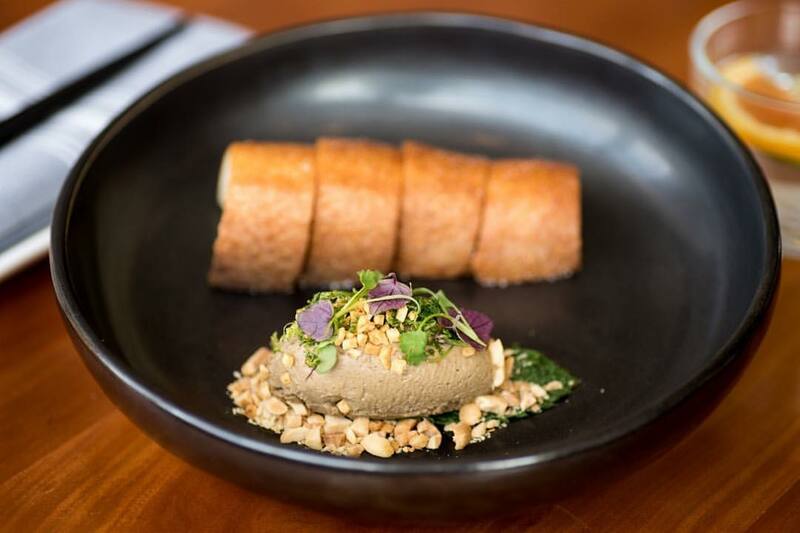 We'll send guests an introductory email before the event to showcase several of the dishes you can expect and the stories behind them, and get to know you better! We look forward to serving you. Wow, our area is getting some more love from critics. Bon Appetit, which named Bad Saint the #2 best new restaurant in the country last year, has given some plaudits to two spots on Upshur this year: Timber Pizza Co. and Himitsu. 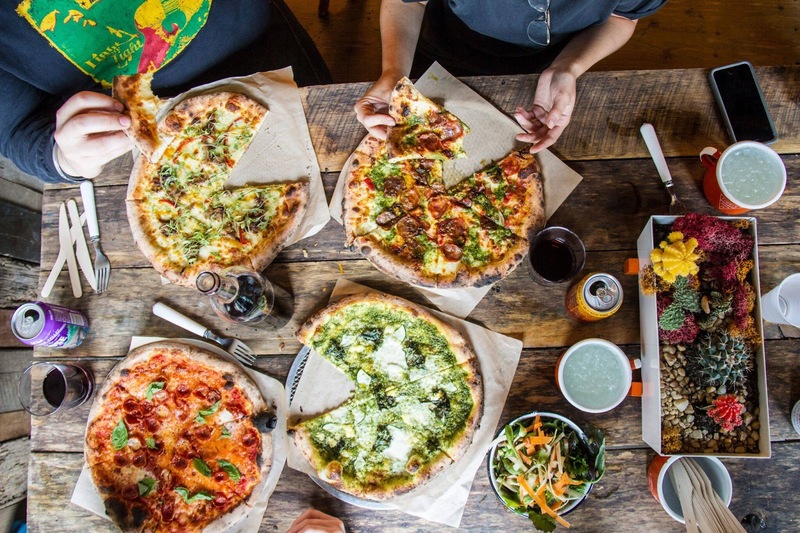 They put both among the 50 best new restaurants in the country, along with other DC spot Pineapple and Pearls on Barracks Row. Himistu also made Eater.com's 12 Best New Restaurants list, along with spots in San Francisco, Knoxville, TN and more. 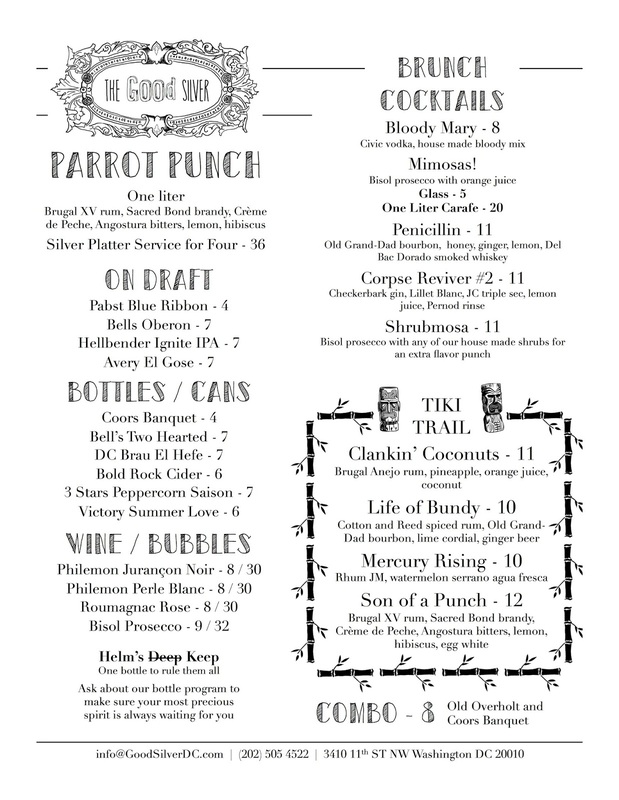 Himitsu is a Japanese spot where Cappy's Crabs and Crane & Turtle were before at 828 Upshur Street NW, and Timber Pizza Co. is a former food truck with a wood-fired oven at 809 Upshur, which was formerly a small church. Pretty awesome to see this kind of praise for more local spots. In a few weeks Bon Appetit will announce what the top restaurants are from the list. Any favorite dishes at either spot? The other day I walked past 3124 Georgia Ave NW, just south of Kenyon, and it looks like a bar/resturant is going in. This place was originally planned to be Hush Restaurant and Lounge, but their liquor license was denied when the ANC thought it sounded more like a club. There's a new permit on the window extending an earlier permit to enlarge the windows and doors for a restaurant/bar on the first floor with an office upstairs. The building is owned by the same LLC as applied for Hush's permit, so it may be the same thing. The building is two doors down from Colony Club and the space itself is pretty big and open (though without a back door) and there looks to be a bar built. I talked with someone who works nearby and they said the building has been under construction for some time, so maybe that work was done a while ago, but the new permit may mean progress has restarted. First Friday on Georgia Avenue, this Friday: check out local businesses, get free wine! 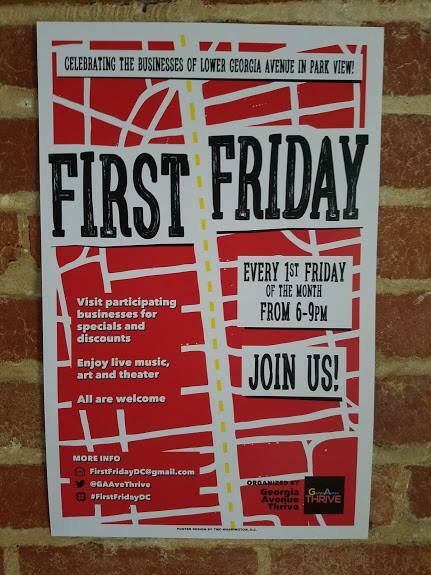 First Friday on Georgia Avenue is right around the corner, this Friday, August 4. The event, organized by Georgia Avenue Thrive, features all kinds of deals at local businesses, including my favorite, a free glass of wine plus BOGO books at Walls of Books. And it's beach themed -- I like it. Here's the Facebook invite, and read on for more! It's hot out there! Enjoy another great First Friday on Georgia Avenue, #Beachinthecity edition! We will again have almost 20 businesses (see list below) Georgia Avenue NW in Park View & Petworth. Drink, food and retail specials, live music, art and more. Mark those calendars, get into a relaxed brach mindset and stay tuned for the specials and special events for the August one. And, as always, we are partnering with our friends in Petworth Petworth Arts Collaborative. Happy Friday! 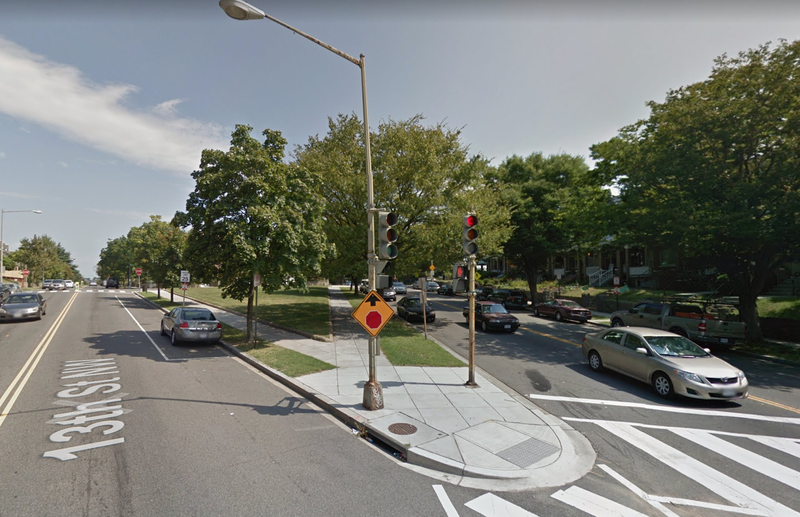 If you're a frequent bus rider, you may be excited to hear that DDOT is looking into adding bus lanes to 16th Street. They're holding two events today from 4:30-7pm at 16th and Irving and 16th and U to present the project and get feedback. The events are drop-in, so no need to be there at the start. There's also an online "open house" where you can submit feedback at 16thStreetNWBus.com. The District Department of Transportation (DDOT) will kick-off a series of public events for the Design Phase of the 16th Street NW Bus Lanes Project. The purpose of the project is to improve bus service and reliability on the 16th Street NW corridor. At the events, DDOT will provide an overview of the project, present roadway layouts, and gather public feedback. In April 2016, DDOT released the 16th Street NW Transit Priority Planning Study, which resulted in a set of recommendations to be advanced to the design phase. The recommendations included peak-hour, peak direction bus lanes, bus service changes, bus stop improvements, and transit priority infrastructure. The design phase of the 16th Street NW Bus Lanes Project will use this set of recommendations to begin environmental documentation and develop preliminary engineering designs. The public has three opportunities to give input on this phase of the project: a public meeting, an on-site engagement event at two locations, and an online open house. All events will cover the same material and provide an opportunity for public feedback. The public meeting will be open-house style with an opportunity for participants to listen to a presentation, review the roadway layouts, and provide feedback. The engagement events will be held at two high ridership bus stops: 16th and Irving Street NW and 16th and U Street NW. The online open house will include a narrated presentation. The comment period for this phase will end on September 1, 2017 at 5:00 pm. All comments can be submitted on the website, by mail, or email. If you have any other questions or comments, please contact Spring Worth at spring.worth@dc.gov or 202-673-1736.